If you update your status message – on anything – with any regularity, you’re already a basic twitterer. Twitter is a place where all communication is a nice, super-short update on what you’re up to. You add friends (followers) who get your updates (tweets) and you get theirs, if you follow them. At least, that what it used to be. Status messages evolved – letting you post links, pictures, videos… and so did Twitter. You can post all this, too, in addition to the messages. And then it evolved some more. Unlike a social network, the only thing any follower knows about you is what you post as a tweet, and maybe some other basic info. This means you can have thousands, millions of followers, ALL of whom you can send a message with a single click. And because you don’t necessarily have to follow them, unlike a Facebook or a Gtalk where it’s a 2-way street, lots of people started adding followers. People follow twitterers who put up interesting comments. Jokes. Useful links. News updates. And suddenly, Twitter took on a whole new character. It became a place where you could get useful information fastest. You’re following people who post interesting (at least, to you) stuff; so, naturally, you already have something in common. When one of those people comes across something interesting, posting is easy. And you receive it immediately. It’s direct, one-to-one. It’s a personalized broadcast. People tweet. Companies tweet. News channels tweet. Celebs tweet. It’s completely open. You can become the broadcaster, too, instead of the reader. 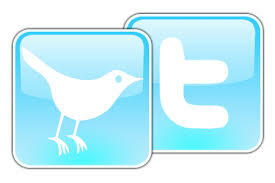 You can be a tweeter that many more will follow, if you’re interesting enough to them. At first, you’re just a lonely voice. Find friends. Follow them, get them to follow you back. Stay updated on what’s happening with their lives. So next step. Start following famous people. People that you otherwise read about. Hear about. Information overload. Too many tweets coming in too fast. Clean up. Sort. Follow only the interesting people. Useful people. A retweet is simply a cut-copy-paste of something interesting you heard, which you’re resending out again. You might be the only guy in your group following that source you got the info from; and by retweeting, everyone in your group gets to hear the news. Some of them find it interesting, so they start following that guy. That guy now has followers he otherwise wouldn’t have reached. And if you’re an interesting twitterer, the same applies to you. Be interesting. An audience will come. How do you get people to retweet you? Be interesting. Be useful. Talk about stuff that at least somebody will like. And be short. You still need to be less that 140 characters, including the retweet credit. Plus, there’s replies, direct messages… you can have a full-scale conversation. But there’s other, faster ways to get intereting info. Hashtags. #tags are little bits of what looks like code that you see sometimes in tweets – eg, #iranelection. What is it? It’s just that – a tag. An identifier. A label attached to a particular activity. #iranelection is a tag people apply to whatever news / info / links they’re tweeting about, if it’s about the Iran election. Some #tags are super-popular in their group. And if you want to know about what’s happening in the Iran election, just search for that #tag – and get to see all the tweets made with it. Some of them might come from people you want to start following. A lot of active, popular twitter conversations have #tags; it just takes some searching and general awareness to find out what they are. So, what are the popular #tags? Or, to put it another way, what is the twitterati twittering about? It’s a brilliant snapshot of trends – not just twitter trends, but literally breaking trends. Live, as they happen. Also try Retweetist, and Tweetmeme. And finally, read this. And keep exploring! Did you know about some of the other cool stuff? Track your popularity with Twittercounter, and compare yourself to others. Check your influence and say in the twittersphere with Twitalyzer. And finally… you are one of the twitterati. You’re in the club.